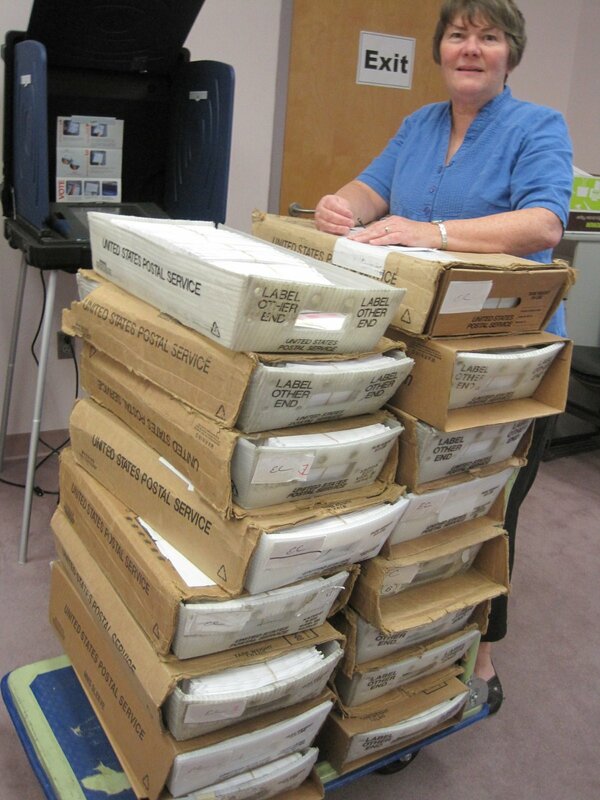 Temporary Elections Clerk Mary Wolfe prepares a shipment of voter registration cards to take to the post office. The Pickens County Registration and Elections Commission has mailed every registered voter in Pickens County a new voter registration card due to recent precinct changes. This means citizens may be voting at a different location for the November 6 General Election than they have in past elections. It is extremely important that all registered voters look at their new card to see which precinct they are assigned to and where their voting location is. All voters must vote in their assigned precincts. The Commission is expecting between a 70-80% voter turnout for the 2012 General Election. During the last Presidential General Election in 2008, voters at some of our precincts experienced wait times of several hours. These precinct changes are designed to lower the number of registered voters at each precinct to below 1,500 (which will reduce lines on election day) and minimize the number of ballot styles any precinct would have to deal with (which greatly reduces the possibility of poll managers providing voters with incorrect ballot styles). No precincts are split by County Council or School Board Districts. Only one precinct is split by Senate Districts and only 8-precincts are split by House Districts. Voters must vote at the precinct they are registered in on election day. Registered voters who have not received a new voter registration card should call the Office of the Pickens County Registration and Elections Commission at 864-898-5948 or 864-898-5949 to request a new card be sent. 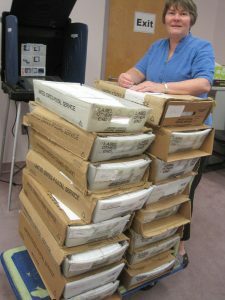 Requests for replacement cards can also be sent to [email protected] You can also check your voting location and districts online at their website, PickensElections.org. 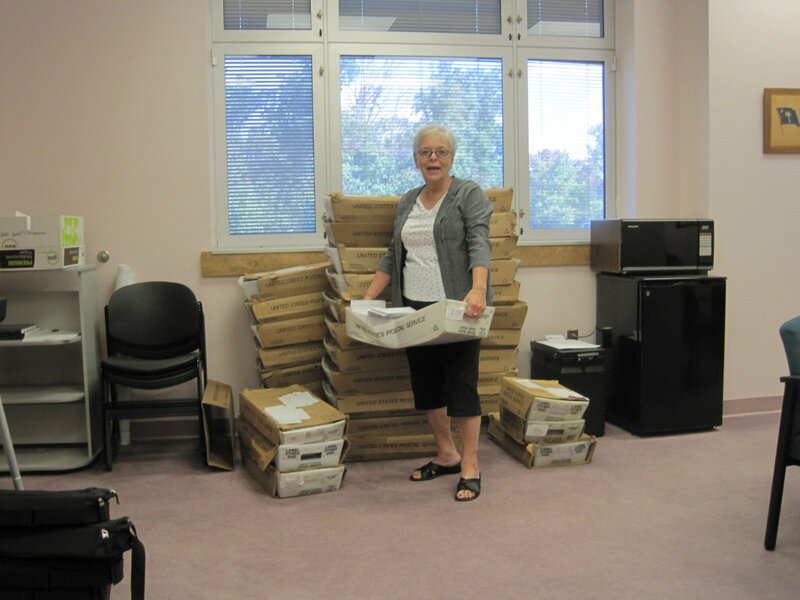 Temporary Elections Clerk Sharon Hunt shows off the new voter registration cards.